So, we have the latest boondoggle from our overlords in the district and it is a 2,232 page behemoth that weighs in at $1.3 trillion and encompasses so many pet projects and BS spending propositions that my mind is swimming in disbelief. The republicans were elected to help Trump drain the swamp and they are most decidedly not following through on that proposition. This six month spending bill is, in fact, the exact opposite of draining the swamp. I’d say that a fair amount of swamp revival is oozing out of this bill. What is even worse is that Trump, despite all his claims and assertions to the contrary has happily informed congress that he will sign this bill when they send it to him. It would seem that Mr. MAGA is just as full of crap as the rest of the spineless, leeches in Washington. The truly disgusting aspect of this is that our so-called representatives continue to flaunt their positions and ignore us without any fear at all of reprisal or correction. The creatures of the swamp do not worry for the content of their subsistence because they have firm control of the system and absolutely no concern that their masters will ever arise from their slumber and reclaim the reigns of power. 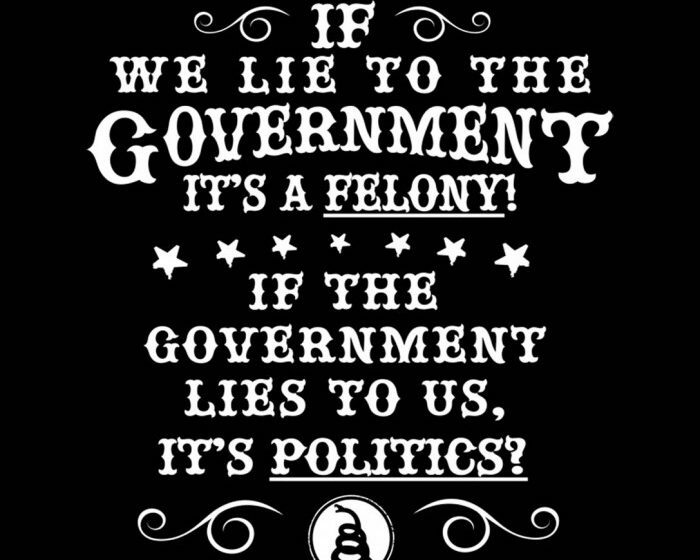 They have so congested the U.S. Code and federal agencies with rules, regulations and statutes to criminalize all forms of behavior and action that they do not worry for having to face “We the People”. Any man or woman who dared to face down the swamp creatures would most assuredly be destroyed in the court of public opinion as well as the federal or local courts for any number of transgressions against the paper state that our “servants” have created. Only as a people whole and united can we ever hope to reverse the damage wrought by this cabal of swamp denizens. We have already surrendered our freedom to these monsters we just haven’t realized it yet. Our government has grown so far beyond the constraints of the constitution that we may never be able to prune it down properly from its current state. Our representatives fancy themselves as our masters and their constituents freely attempt to exercise that control by condemning our speech and challenging every value, institution or tradition that we hold dear. Every time the swamp creatures pass another bloated spending bill we further cement the servitude and helplessness of our children. Every action these wretched beings undertake is nothing more than another nail in the coffin of the republic. I for one am not ready to give up. A politician by any other name is still just a liar and a destroyer of other people’s dreams. We must stop hoping they will do the right thing. We must stop accepting the lies that they feed us and begin cutting off the monster at the source. When we demand safety nets they use that excuse to feed leviathan. When we empower these creatures for any action on our behalf they bloat the purpose of that task and expand the power of the federal animal. We must reject socialism in any form. We must unite with our fellow Americans and come to a unified understanding that despite all of our diverse views and opinions we are being consumed and controlled because we are eschewing personal responsibility in favor of largesse from the hands of our would-be masters. We cannot depend on senators or representatives to make this happen and it would seem that our supposed, swamp draining, non-politician president isn’t worth the onion paper he was printed on either. These people aren’t going to drain the swamp and they aren’t going to willingly accept one grain less of the power they all crave. We better figure out a way to stop them or we will soon serve them as much physically as we do financially. I know I’m just an old dinosaur and many believe I don’t understand the complexities of this process but then again “Thinking is for dinosaurs”. Previous Post:Statues and Monuments and Grave Stones…Oh My!! !